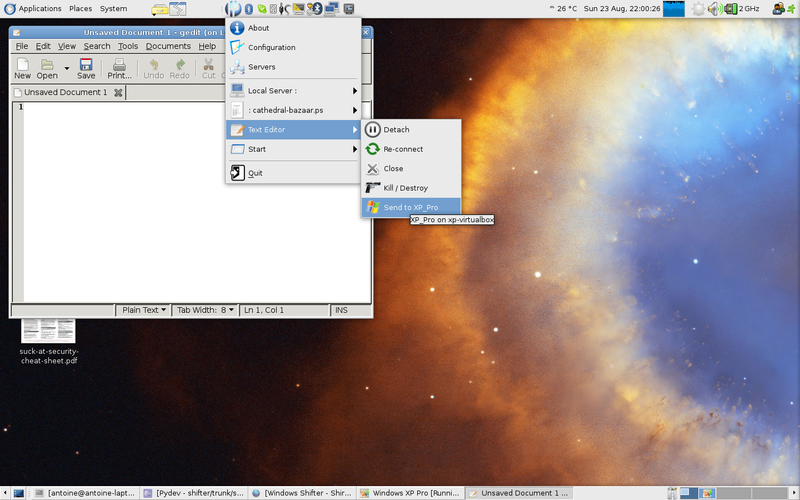 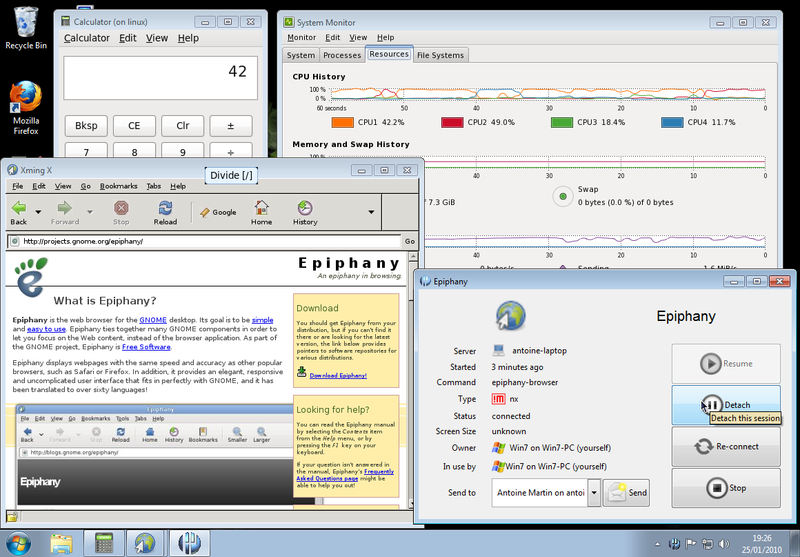 Below is a screenshot from a Windows XP desktop accessing a very large start menu located on a Linux server. 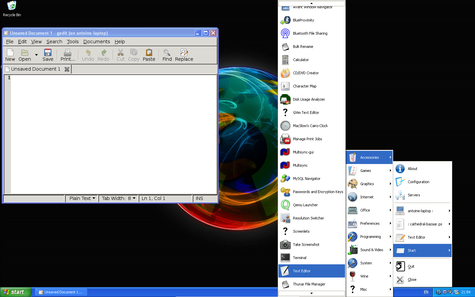 An Ubuntu desktop preparing to send the open gedit session to the XP_Pro user. 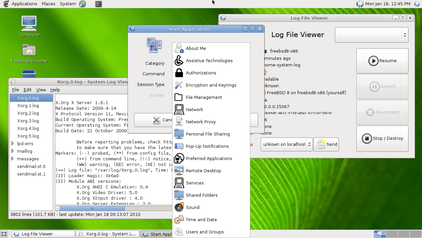 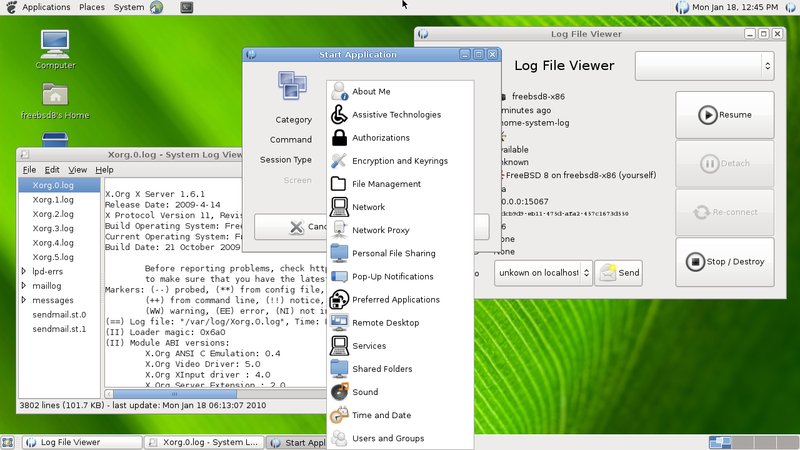 A FreeBSD desktop showing the system start application menu, a Log File Viewer is already running locally.